St Leonards Church was founded in 1198. 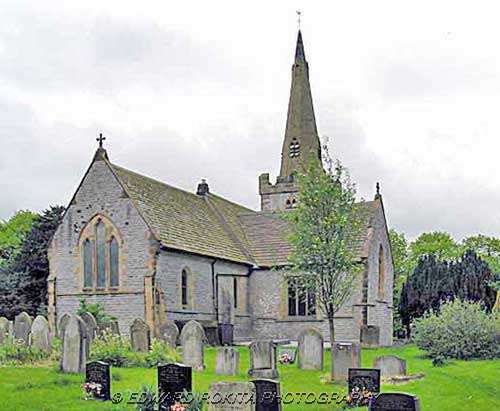 It has a contemporary chancel arch, unbuttressed tower with lancet windows and battlement, and a spire with 2 tiers of dormer windows which was built at a later date. There are north and south transepts, the former founded as a chantry in 1348, the later rebuilt by Butterfield on the old foundations in 1887 as part of a major restoration work. The screen, pulpit, alter rails and benches, all date back to Butterfield. It contains a 15th century font, with an octagonal bowl on a quatrefoil stem, decorated with animals. One of the church`s greatest treasures is the parish chest, 10ft long, with bands of wrought iron every few inches. Rather worn now, it possibly dates back to the 13th century when it was used for the alter plate. There is also a plate, used as a chalice, which dates back to 1726, and was made by Jacob Margas.